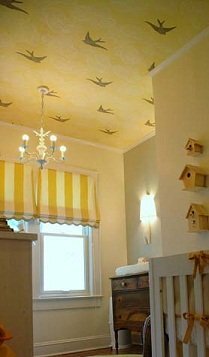 Baby nursery ceilings are a great way to bring more pizazz into your baby room. Think about it as the fifth wall in your nursery and incorporate it in the total look of the room. There is no rule that a ceiling always must be painted ceiling white. Why not use it to help stimulate your newborn's development? Why not give it some whimsy to make the room an incredible space? Why not let your imagination run wild? Rather than ceiling white, use a complimentary color to the color on your walls. If you have used wallpaper, you could select a color out of the paper for the ceiling. If you have a mural on your wall, perhaps it could extend to the ceiling. Vines from a garden could extend across part or all of the ceiling. 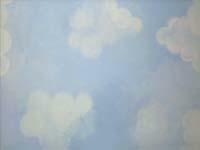 Maybe, you would like to have the sky brighten your special little one's room. You could paint the ceiling a sky blue, add a few fluffy white clouds floating across the sky. There can even be a bright sunshine brightening up the corner of the room. Or perhaps you would like to go for a night sky...... paint it a darker blue and add twinkling stars. 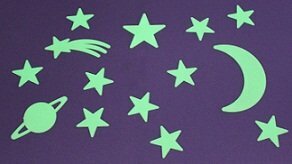 The stars could be painted or glow in the dark appliques. You can even add the planets to your night sky! 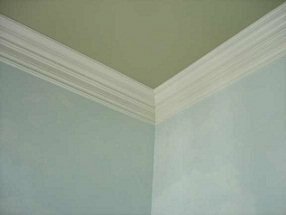 You can paint stripes on the baby nursery ceiling in colors that coordinate with the walls or the bedding for the crib. 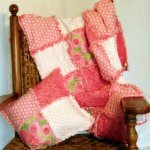 Try polka dots in various sizes, balloons, checkerboards or if you are real artistic, try plaids! We've even seen ceilings wallpapered with solid color painted walls. You can even drape the ceiling with soft gauzy fabrics to create a dreamy, floating in space feel for your baby nursery. Looking for a more solid feel to the room, add bead board to the ceiling painted white to give the room a white ceiling with character. 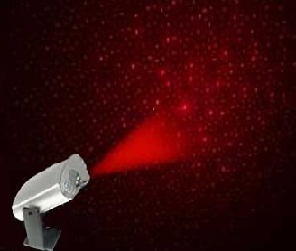 Another way to make ceilings interesting is to use a projector to put on a light show of stars, planets or other fun characters. Whatever you do, be creative, have fun, don't let the fifth wall be boring! Baby Nursery - How to get started on this important room! Bedding- That all important crib bedding does wonders in pulling the look of the whole room together! Colors - Pastels to jewel tones, colors are fabulous! Flooring - Flooring options are numerous for baby rooms. Furniture - From cribs to rocking chairs, lots of exciting choices. Lighting - The right lighting can really add to your ceiling decor. Nursery Rhyme Theme Nursery - Hundreds of nursery rhymes to choose from for your theme. Wall Finishes - From simple paint to incredible murals!